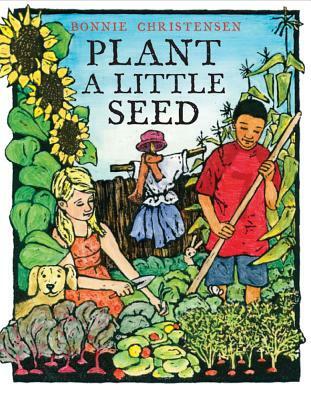 With a little help from a watering can, bright sunlight, and a lot of patience, two friends plant seeds in their community garden and watch how they grow. Slowly, the seeds turn into sprouts, which grow into stems, followed by leaves and buds! The garden will soon be teeming with life and ready for a harvest season celebration. But until then, the children water and wait and dream . . .